Sagardoetxea the ideal place to enter into cider culture. 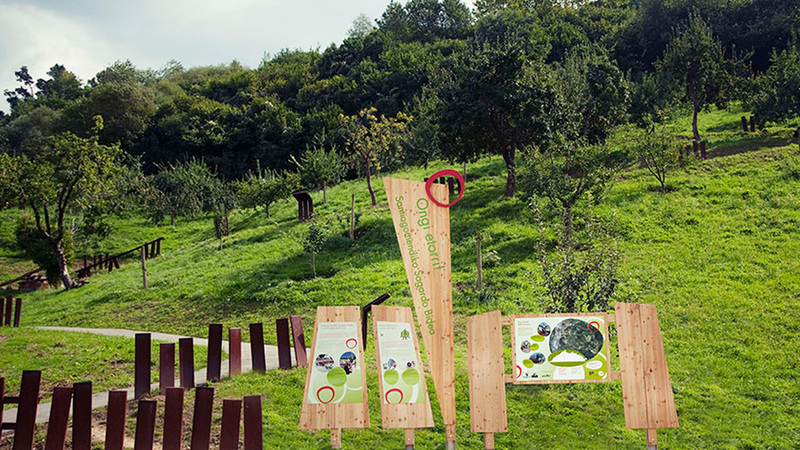 The museum currently has three different spaces to learn about the history and reality of the apple and cider: the apple orchard, the museum, and the tasting centre. This is a good trip to go hiking and enjoy the natural landscape of Santiagomendi (Astigarraga). The tour has eight themed stations equipped with informational panels, play areas, and rest areas. Through the cider culture, you can discover the history of the country houses of Santiagomendi and Astigarraga, the livelihoods of their inhabitants, as well as one of the most emblematic points on the Camino de Santiago as it passes through Gipuzkoa. A walkthrough exhibition that shows how rivers have long circulated communication and economic and social relations. The “cider rivers” Urumea and Oria were a source of life and wealth, highways of antiquity, and pioneering centres of technology. This exhibition compiles informational panels, models, and ethnographic elements to show our cultural heritage. Cider was, and continues to be, the drink par excellence of the Basques and was once even a main form of sustenance. However, the trajectory of the cider sector has not been homogenous and it has undergone substantial changes throughout history, due to several causes. This exhibition tries to show this reality as well as the interrelation between the world of cider and the Basque country house. This is an experience where you discover the importance that cider had past centuries in naval expeditions, being a good antidote for one of the most feared diseases in the sea: scurvy. This experience lets you learn about the origin and the process of making cheese and cider, and there is a tasting of these Basque products afterwards. This experience immerses you into cider culture by visiting the Sagardoetxea Museum and enjoying the traditional “txotx” ritual at a traditional cider house. On July 26th, the day of Santa Ana, the Sagardo Eguna (Cider Day) is celebrated in Astigarraga, where around 20 local producers give their products to the public to taste and enjoy. This particular Sagardo Eguna is the oldest in the Basque Country. Sagar Uzta is the apple festival and celebrates the beginning of the press work with various activities focused on cider culture and the apple. The process of making the first wort of the harvest: picking, crushing, and pressing apples. Every year, we carry out research work in different archives and documentation funds to gather information related to cider culture, which results in the creation of new exhibitions, tourist experiences, etc. 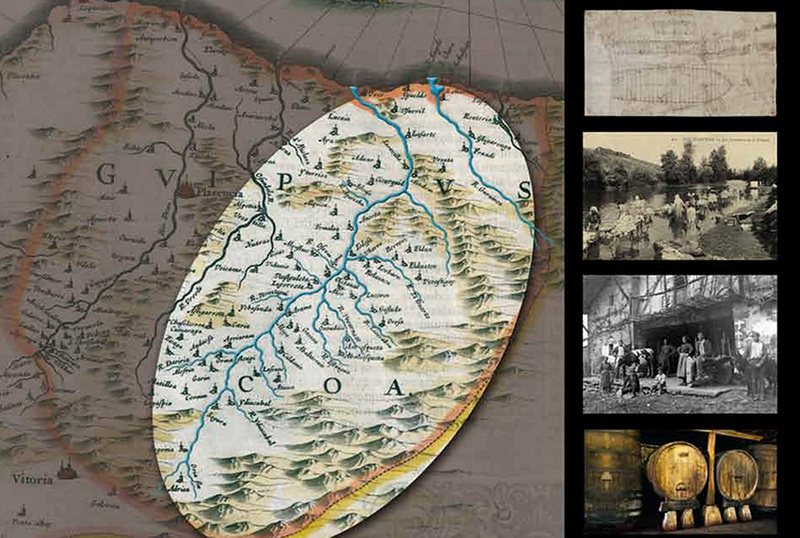 Sagardoetxea – Basque Cider Museum has a documentation centre that specializes in Basque cider and currently has a total of 9,000 documents in the “Newspaper Archive” and “Documentation Archive”, 30,000 photos in “Photo archive” and 600 pieces in “Inventory”. This publication gathers information about the work performed in the apple orchards, the cider-making process, aspects related to cider culture, cooking with apple derivatives, tourism around cider, etc. Four newsletters are published throughout the year. This is a publication in Basque that contains almost 500 words from the world of cider and various illustrations of the Basque cider culture. Maps, guides, brochures of Sagardoetxea, tourist brochures, dossiers, postcards, posters, digital catalogues, web applications, etc. 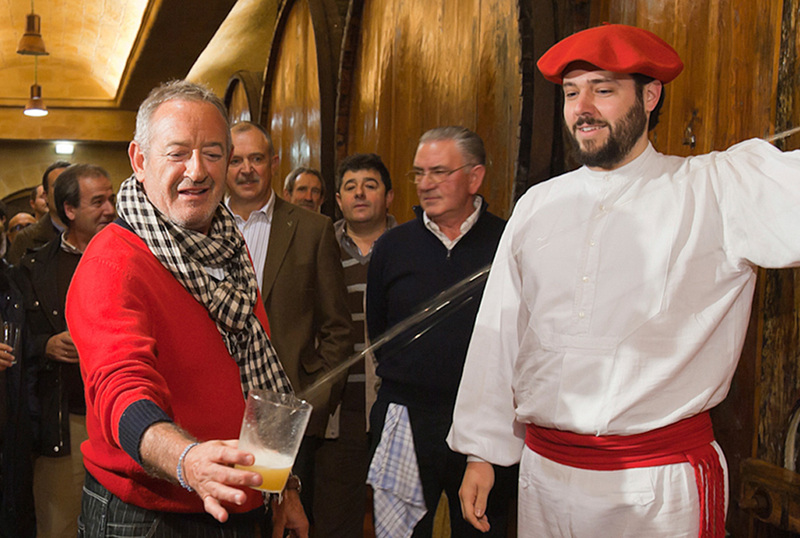 The Museum Network of the Basque Coast has 35 museums, including the Sagardoetxea – Basque Cider Museum. Get the card and activate it at any of these museums to take advantage of its offers and discounts.